The author of more than 40 works of fiction, nonfiction, and poetry, Wendell Berry has been the recipient of numerous awards and honors, including a Guggenheim Foundation Fellowship, the Vachel Lindsay Prize from Poetry, a Rockefeller Foundation Fellowship, and more. Berry’s latest works include The Mad Farmer Poems. He lives and works with his wife, Tanya Berry, on their farm in Port Royal, Kentucky. Wes Jackson, PhD, established and served as chair of one of the country’s first environmental studies programs at California State University-Sacramento and then returned to his native Kansas to found The Land Institute in 1976 of which he is the president. 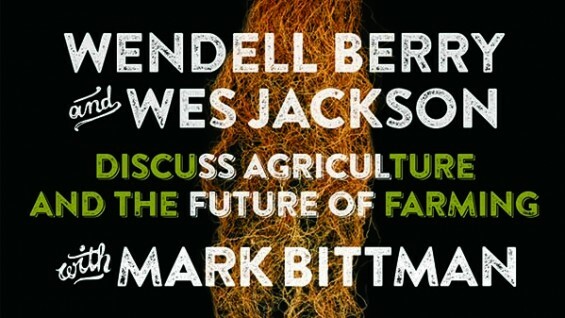 A 1990 Pew Conservation Scholar, in 1992 Jackson became a MacArthur Fellow and is recognized as a leader in the international movement for a more sustainable agriculture.